How can you tell if it might be sensory processing dysfunction? Let me start by saying that every child is different and reacts to things in their own way. Also, every person on earth has different tolerances to different sensory input. Things that drive one person crazy may not bother another person at all. This is normal. When sensory processing becomes a problem is when the reactions start to interfere with typical and necessary life funtions. It is a problem when someone can’t eat due to sensory problems. It is a problem when someone can’t function in school due to sensory problems. Keep in mind also that therapy for sensory processing dysfunction is not going to fix everything, but it can help. The best thing you can get from therapy is an understanding of the problem so that instead of fighting the problem, you can work on it. the sensory system is complex and all parts of it are inter-related. Children are all individuals and all react differently to different situations. What looks like a sensory problem may be something completely different, and vice-versa. 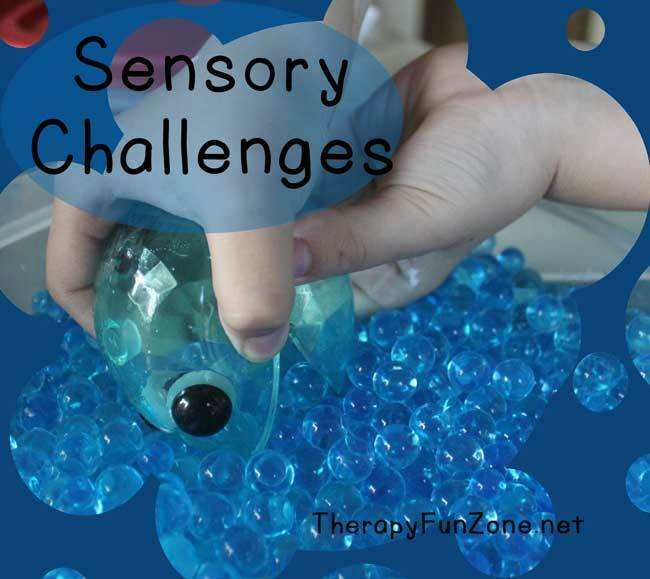 The best way to determine a sensory processing problem is to take a sensory history. Formal assessments are not always useful because you can’t see how the child responds in his normal environment and typical situations. A sensory history is when the parent or caregiver answers questions and gives observations in a formal or informal questionnaire. The parent knows their child best and knows their child’s responses to sensory stimulation in typical situations. Many times a child’s responses can be placed into two categories; Hypersensitive, or Hyposensitive. Behaviors are often categorized as well as sensory seeking or sensory avoiding. Generally, if a child is hypersensitive, they will avoid the sensory input, and if they are hyposensitive, they will seek out more of that sensory input.